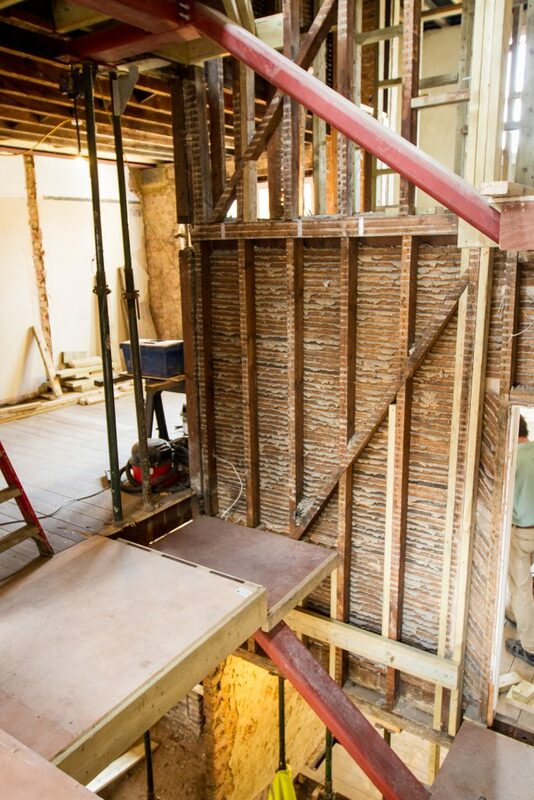 Your staircase is the centrepiece of your home, reflecting its style and flow. 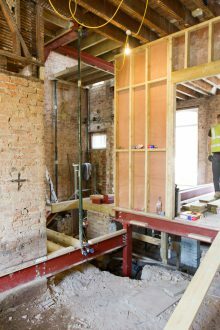 It is a major design element to the redevelopment of your home and offers you the opportunity to take something functional, and make it beautiful. 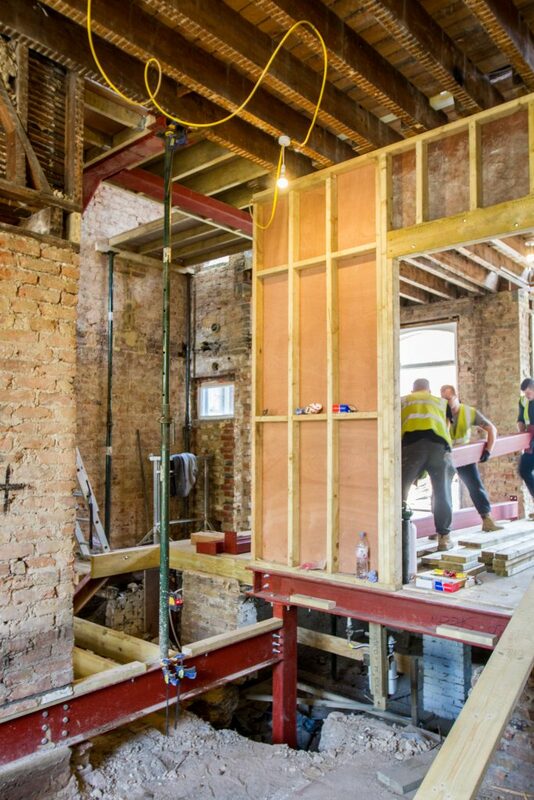 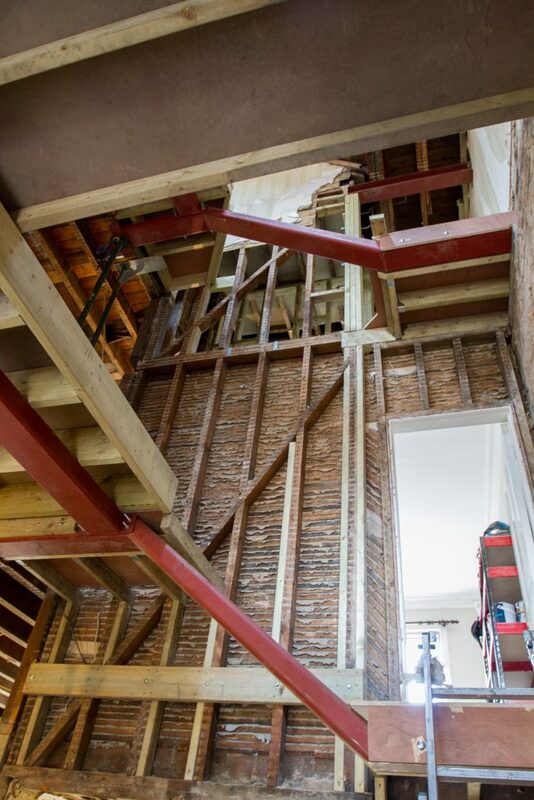 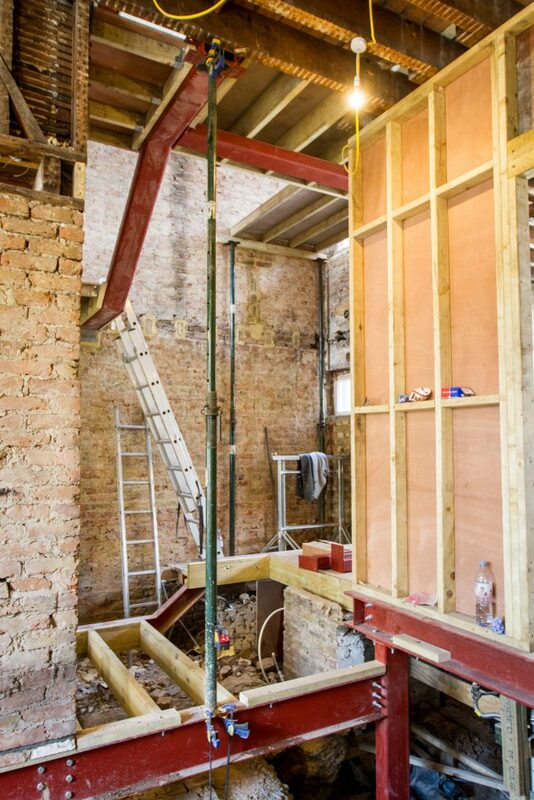 This week the steels went in for a stair case restructuring in West London. In its original state the staircase was the properties biggest design flaw. 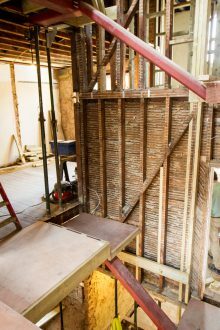 The staircase created a narrow pinch point in the hallway, forming a narrow passage right through to the kitchen. 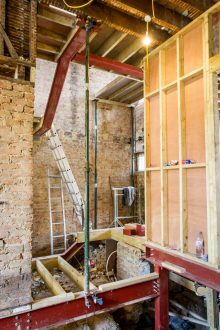 By removing the old structure we will be making much better use of the space available and thanks to the light well we will be installing above it, this will be the focus point of the house. We can’t wait to get it finished!